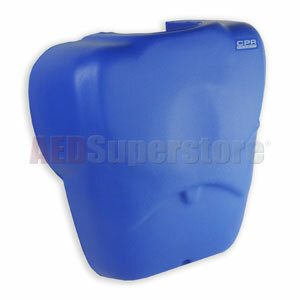 BLUE - Torso Only - CPR Prompt Adult/Child Manikin. Not made with natural rubber latex. We have been using the CPR Prompt manikins in our business for 15+ years . They have been through a lot and they are always prefered by our students. Real life compression feel especially the new units. AED practice is perfect.